In 2015, the US Supreme Court issued a landmark trademark decision that will likely affect many corporate legal departments. In B&B Hardware, Inc v Hargis Industries, Inc (135 S Ct 1293, ___ US ___ (2015)) the Supreme Court ruled that decisions of the Trademark Trial and Appeal Board (TTAB) may have preclusive effect in subsequent court litigation. This article examines some of the practical implications of the decision, both in the United States and abroad. B&B Hardware and Hargis Industries both manufacture metal fasteners. B&B’s fasteners are used in the aerospace industry, while Hargis’s fasteners are used in building construction. Although their customers differ, all prefer fasteners that seal things tightly. B&B obtained a US federal registration for its trademark SEALTIGHT in 1993. Three years later, Hargis sought to register the name SEALTITE for its fasteners. B&B opposed Hargis’s trademark application before the TTAB, an administrative body within the US Patent and Trademark Office (USPTO). In opposing Hargis’s registration, B&B argued that SEALTITE could not be registered because it was likely to be confused with SEALTIGHT. Although the parties’ fasteners were marketed to different industries, B&B explained that both companies sold their products online, the largest distributor of fasteners sold both companies’ products and consumers sometimes called the wrong company to place orders. In response, Hargis argued that the companies sold different products for different uses to different types of consumers, through different channels of trade. While the TTAB was deciding whether SEALTITE should be registered, B&B also sued Hargis for trademark infringement. In both registration proceedings and infringement litigation, the tribunal asked whether there was a likelihood of confusion between the mark for which protection was sought (here, SEALTIGHT) and the other mark (SEALTITE). Before the district court ruled on likelihood of confusion, the TTAB announced its decision. Explaining that “the most critical factors in [its] likelihood of confusion analysis are the similarities of the marks and the similarity of the goods”, the TTAB sided with B&B and refused Hargis’s trademark application. B&B then asked the district court to give preclusive effect to the TTAB’s decision and find Hargis liable for infringement. Hargis bore the burden of persuasion before the TTAB, while B&B bore it before the district court. The Supreme Court granted certiorari to decide the issue. The court noted that issue preclusion is not limited to those situations in which the same issue is before two courts, and can equally apply to agency decisions where the other necessary factors are present. The court then analysed the Lanham Act itself and found no evidence that Congress sought to preclude its application to TTAB precedent. “The real question”, according to the court, was “whether likelihood of confusion for purposes of registration is the same standard as likelihood of confusion for purposes of infringement”. The Supreme Court concluded that it is. As such, it found no reason why a TTAB determination regarding confusion should not be given preclusive effect, provided that the other ordinary elements of issue preclusion were met. On remand, the Eighth Circuit overturned the district court’s prior judgment in favour of Hargis and directed the district court to give the TTAB decision preclusive effect. The practical effects of Hargis have yet to be fully appreciated. Opposition and cancellation proceedings will continue to be filed by rights holders in the TTAB, as will separate infringement actions. Before Hargis the Second, Third, Seventh and Ninth Circuits afforded deference, if not outright preclusive effect, to TTAB decisions. Are the courts covered in those regions now more likely to find issues precluded in subsequent infringement cases? Conversely, the Fifth, Eighth and Eleventh Circuits had expressly rejected issue preclusion from TTAB decisions. Will courts in those regions remain sceptical and look for reasons not to apply issue preclusion? Speaking recently at the American Intellectual Property Law Association’s Annual Meeting, TTAB Presiding Administrative Judge Gerard Rogers urged that Hargis should not have a dramatic effect on how parties approach TTAB litigation. However, the issue is not so much how the TTAB will respond to Hargis, but instead how trial courts will react when presented with collateral estoppel motions based on a prior, final TTAB decision. Rights holders will have to take that into account in developing their approach to TTAB proceedings. To the extent that the TTAB considers marketplace evidence and factors in its analysis and its decision becomes final, a court hearing a subsequent infringement case will be more likely to accept the TTAB decision as binding on its case. Accordingly, where parties perceive even the possibility of preclusive effect in an infringement case, they are more likely to appeal adverse TTAB rulings. In fact, appeals to a federal district court (as opposed to the Federal Circuit) may become more prevalent because parties may introduce new evidence in that setting. Significantly, the Supreme Court’s reasoning in Hargis may not be limited to the question of likelihood of confusion. Courts will likely, given the right circumstances, give preclusive effect to other TTAB determinations, such as descriptiveness, acquired distinctiveness, fame, genericness, abandonment and priority. Thus, defendants in TTAB cases will have to consider whether they can and should file court actions to address these issues and seek a stay of the TTAB proceedings. Trademark applicants may need to be more strategic with the description of the goods and services in their applications. As the TTAB noted in Hargis, one of the most critical factors in the likelihood of confusion analysis is the similarity of the goods and services. Issue preclusion will apply only when the issue is material and identical in the subsequent proceeding. Thus, a difference in how the mark is used in the marketplace versus what appears in the trademark application may be enough to avoid the preclusive effect of an adverse decision. In some circumstances, parties may be motivated to limit the description of the goods or services, either in scope or perhaps in certain channels of trade, to limit the effect of an adverse ruling by the TTAB. Hargis also presents interesting strategic considerations on foreign trademarks for which registration is sought in the United States based on Section 44(e) (foreign registration) or Section 66(a) of the Lanham Act, under the Madrid Protocol. Neither case requires the applicant to submit evidence of use in commerce of its mark before obtaining registration. If the foreign applicant has not yet used its mark in the United States, could an adverse decision in an opposition or cancellation proceeding lead to a collateral estoppel finding in a subsequent infringement action? At first blush, it would seem that in such a case the TTAB would be unlikely to consider marketplace usage and “if the TTAB does not consider the marketplace usage of the parties’ marks, the TTAB’s decision should ‘have no later preclusive effect in a suit where actual usage in the marketplace is the paramount issue’” (Hargis, slip op, p 18). This conclusion seems more likely if the decision contains the oft-cited proposition that the similarity of marks and the nature and scope of a party’s goods or services must be determined based on what is contained in the application(s) and/or registration(s) of record, and not what the parties’ actual use in the marketplace might show. However, quite often marketplace evidence finds its way into the evidentiary record of a TTAB case through documents, testimony and discovery responses – confusing similarity may even be conceded. Consider the 2013 case of Platts v M7 GmbH (Opp No 91204773), in which M7 admitted in its answer and discovery responses that its PRECISTA mark was identical to the opposer’s mark and the parties’ goods were “closely related if not legally identical”. M7 focused its defence on the issue of priority and the TTAB found in the opposer’s favour. Platts might well have a strong collateral estoppel argument in a subsequent infringement case if M7 were to begin using the mark in the United States. In light of Hargis, foreign applicants should carefully think through their opposition and cancellation strategy to avoid traps for the unwary. Similarly, parties opposing Section 44(e) and 66(a) applications will need to plan their evidentiary strategy. Depending on each party’s evaluation of the strength of its case, it may wish to seek in discovery – and introduce at trial – actual marketplace evidence for use in arguing collateral estoppel in subsequent infringement proceedings. At this point, the full effect of Hargis remains to be seen. However, what is clear is that parties will need to have a greater sensitivity to the implications of their TTAB cases. 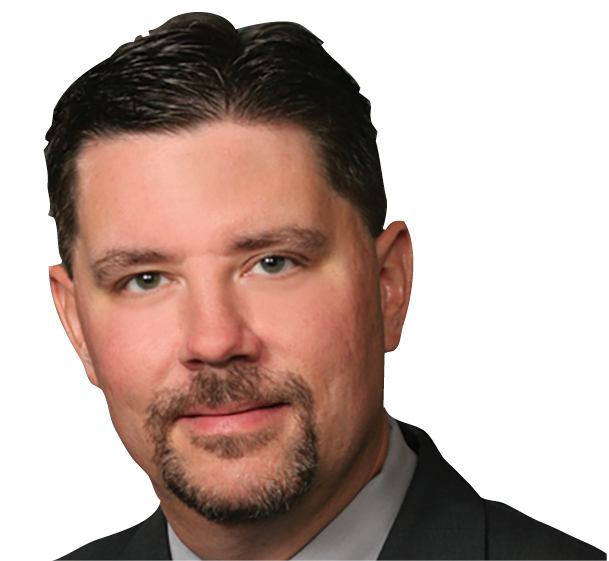 Shane Olafson is a partner in Lewis Roca Rothgerber Christie’s IP, litigation and data privacy/cybersecurity groups. He focuses on IP litigation and counsels clients on IP clearance, domain name disputes and issues relating to data privacy, cybersecurity and e-discovery. Mr Olafson has received the highest possible attorney rating (AV Preeminent) from Martindale-Hubbell and was named one of Arizona’s top-rated lawyers in the area of intellectual property. 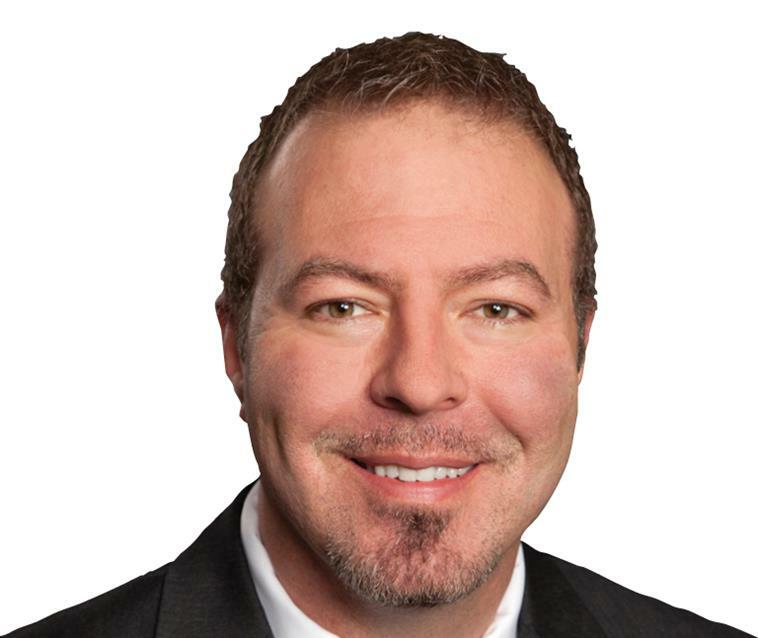 Sean Garrison is a partner in Lewis Roca Rothgerber Christie’s IP practice. He counsels clients on the protection and licensing of their IP rights, with a focus on trademarks, copyrights and computer software issues. Listed since 2007 in The Best Lawyers in America by Woodward/White, Aiken, SC in the categories of IP law, copyright law, patent litigation, trademark law and technology law, he has handled numerous cases before the Trademark Trial and Appeal Board.